The days of having a flashy little two-seater are over. You have a family now, and it's time to look for the best car for everyone. What do you need to consider when purchasing such a vehicle? When it was just you and your spouse, you were concerned about safety but not as much as you are now with your little ones. In general, new cars tend to be safer than used ones, so consider purchasing one of the latter. If the price is a bit high, look into a leasing agreement, or consider purchasing a car that is just a few years old as opposed to one that is 10 years old. You must also realistically consider the number of small children you plan to have at once. A vehicle with the space for two car seats when you plan to have three children all in a row is really not going to work out. Be sure ample space exists to fit these seats, and ask the dealership if all of the safety features are in place to hold the car seat in. Speaking of safety features, you want to ensure that your car has plenty of them. From systems that immediately call for help if you're in a crash to airbags and anti-lock brakes, it's necessary to ask about all of these components. In fact, when you go to the dealership, you should tell the person with whom you are working that safety absolutely is your biggest concern. This will let the salesperson know that you only wish to look at vehicles that have the most up-to-date safety features on them. If you've already started having children, you already know that they certainly travel with a lot of equipment! From strollers and extra playpens to bring to your own mum and dad's home to diaper bags, extra bottles and more, you need plenty of space in the boot. Even as the children grow older, they will likely be involved in a lot of activities at school, and you'll start going on many holidays together. Therefore, it's necessary to have the space for all of the family's belongings. It's also important to ask how well the car does on gas. Will it take you far, or is the vehicle going to need to be filled up rather frequently on your holiday across the country? When you have a family, you're going to become quite busy, and you don't necessarily have the time to be filling the car up with gas every day. Buying that first family car means you're moving into another phase in your life. Be prepared for this exciting time by following the aforementioned tips to ensure you are very happy with the new purchase. Trent Wilson is a Car Salesman from Brisbane, Australia. He says that many people don't know what to look for in a new car and provides these tips to help ensure you get the right car. 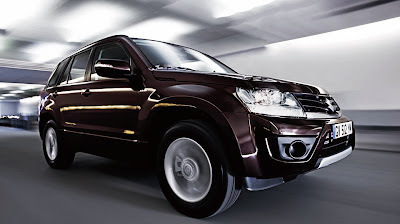 Trent highly recommends the Suzuki Grand Vitara because of its excellent safety features and roomy interior.